- Stromberg : a big aluminium 5 octave wavetable digital synth with optional plug-in modules adding analog filters and/or tube amplification. - Blofeld : a desktop/rackmount analogue modelling synth with a nice big LCD display and an aluminium box. 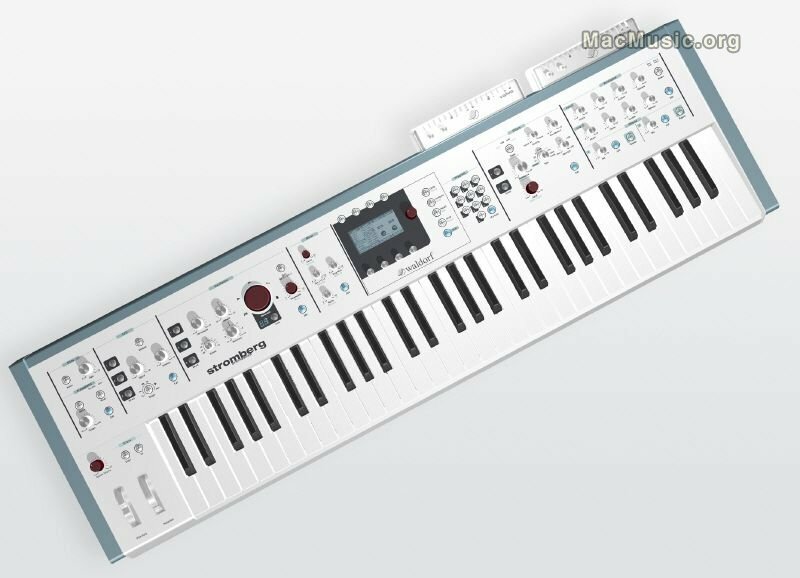 - Zarenbourg : a Wurli-inspired stage piano using physical modelling rather than samples (a bit like a hardware Lounge Lizard), with built in speakers - clearly going after Clavia's Electro range but with a much more retro look. - Phoenix Edition : a limited edition reissue of the Q, Q+ and Micro Q, in black. The Q+ has analogue filters, the Q digital ones, and the Micro Q is the simplified rackmount version.